Below are some of our most-loved marketing combinations you can combine to generate desired results. Go ahead, share these graphics on your social media accounts, with your marketing pals, or download them to keep on hand and to post on #TipTuesday, #WisdomWednesday, or #FunFriday. 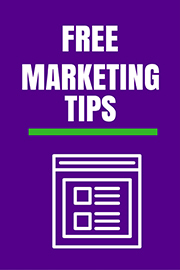 What’s your favorite marketing tip and a-lister combo? ← Is your content SEO friendly?